Arrowhead Alpines Blog: Why does coffee wake you up and pot make you high? Why does coffee wake you up and pot make you high? I suspect you know part of the answer to why coffee and cannabis have the effect they do. Coffee has caffeine, and pot has THC. But that answer just leads to another question. Why bother to make caffeine and THC? Why do plants make so many compounds that mess with out brain chemistry? Coffee and cannabis are just the beginning. How about opium, and its various purified forms, morphene, codene and heroin (all derived from the opium poppy, Papaver somniferum) or nicotine? Or taxol or aspirin or any other of a long, long list of drugs, medicines and poisons that come from plants? Why are so many plants busily synthesizing and filling their leaves or roots or seeds with all these crazy chemicals? And why don't animals do the same thing? With all the countless species of mammals and reptiles and insects out there, you'd think we'd have a couple drugs derived from them, but whereas plants are busy little chemical factories, animals are pretty boring. Yes, there are poison snakes and spiders, but most of the poisonous animals, from poison dart frogs to monarch butterflies, don't make their own toxins, rather, they get them from their diet. Just like our bodies don't bother to synthesize our own vitamins, instead just eating the ones plants made. So why are plants the chemists of the natural world? To start to answer that question, imagine you are sitting out in the woods somewhere, and suddenly, you look up and see a large animal that wants to eat you. A bear or velociraptor or shark or something. What do you do? Run away, climb a tree, throw a rock. Now imagine the same scenario, only you are a plant. You've got roots. You aren't running anywhere. You can't even really throw anything. All you can do is sit there, and try to not get eaten. You can't even hide under anything because you need sunlight to live. So, you start trying to make yourself toxic. Tobacco doesn't produce nicotine in order to addict hapless smokers, it fills its leaves with the compound because it is a powerful insecticide. It just so happens that our brain chemistry is different enough from that of insects that though it is still quite toxic at high doses, at lower doses, it calms us down, and is powerfully addictive. And what about caffeine? 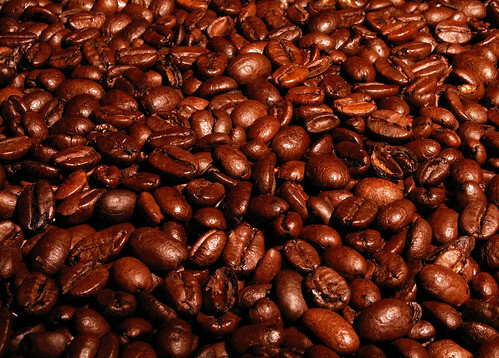 A lot of unrelated plants from coffee to chocolate to tea produce the chemical. What is up with that? Well, let's give a visual with something a little closer related to the actual target of caffeine. On the left is a normal spider web. On the right, the web of spider after a little dose of caffeine. Coffee isn't trying to wake you up. It is trying to mess with insects that might eat it, and it just so happens that your brain reacts in a little differently. 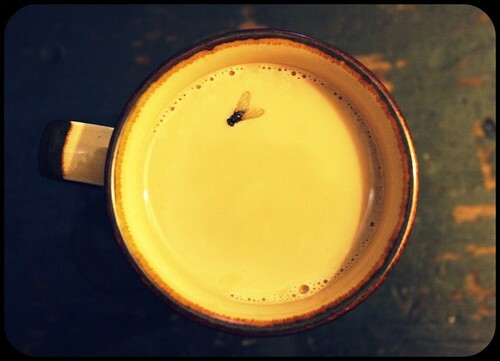 Enjoy your morning cup of insecticide! Plants aren't out there synthesizing medicine and making you high for your benefit. We just happen to have figured out how to use these poisons in small doses to achieve effects that we want, like numbing pain or killing cancerous cells. The reality that the powerful chemicals we derive from plants are designed primarily for chemical warfare indicates the need to take “natural” herbal supplements and the like with a bit of trepidation. A lot of the time nature isn't so concerned with healing as it is with killing. Great post! I wonder what triggered the development of toxins in the first place. Probably chemical compounds in certain soils were more readily available over others? Or were drawn up inadvertently? Plants can develop toxicity from growing in human polluted soils. It would be a fun experiment to see if you could develop heritable toxicity in a formerly edible plant, like Nasturtium...Wow, I'm perverse. I don't know about nasturtium, but for a lot of edible plants, it would be EASY to breed poisonous versions, simply because the wild ancestors of a lot of our food plants, from almonds to potatoes to lettuce, are poisonous already! Humans have been breeding a long time to detoxify our food. It seems like biologically we are close enough to insects to give alkaloids some impact but different enough to escape their intended toxicity. Or maybe people's bodies are just too large to accumulate enough poison. If I were a caterpillar and ate half of my weight in coffee leaves...Ugh! I've become a little irritated with the anthropomorphizing of nature. I know it is hard not to do and I do it myself. However, I loved this post because I needed a reminder. It is not all about me. It is about the plant that has a whole different agenda. Thanks! I wonder how much benefit some plants get from humans, as a result of the way their chemicals influence us. I'm sure coffee would not be so successful as a species if we humans didn't cultivate it. We're now part of the natural selection process! Good point regarding anthropomorphization... I have mixed feelings about it. As a scientist, I know that it is fundamentally inaccurate, but it is also a powerful tool to use in explanations. I'm actually more comfortable using it with plants than animals, because I think people are pretty aware that plants don't actually "want" or "try," and so are less likely to confuse my rhetorical silliness with some actual reality. Oh yes, absolutely! The plants we eat and use evolved trying to survive insect attacks, but once we started cultivating them, WE become the primary force behind their evolution. Coffee hasn't changed too much under man's hand, but other plants, like corn, have become something entirely new. Friday Gardening Cartoon: Spring euphoria! Dwarf irises for early spring euphoria.